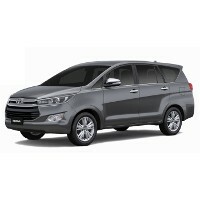 Pros: Spacious interior cabin and bigger dimensions than old Innova. Refined exteriors equipped with fresh bumper and excellent radiator grille design. Powerful engine delivering high power than its predecessors. Cons: Limited interior changes have been made. Too pricey than its competitors.